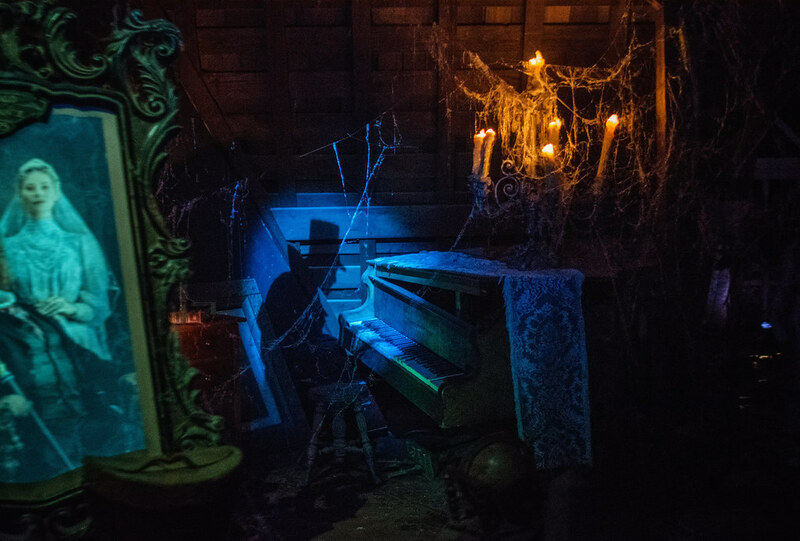 Continuing in the Haunted Mansion theme from last time, today we have the shadowy ghost pianist from the attic. I really love simple, but masterfully executed effects like this. They’re the ones that feel the most strikingly real. This entry was posted in Haunted Mansion and tagged attic, creepy, ghost, piano, scary, shadow, spooky. Bookmark the permalink.